The prices for the fake Chanel handbags typically ranged from $215.00 to $1,179.00 USD. For example, a replica Chanel Silver Chamois 230 handbag was being sold for $215.00 USD. A Chanel Apricot Twin Color Leather 35452 handbag had the price of $249.00. The Black Cuir Verni was priced at $1,179.00. Such fake Chanel bags were often fabricated with inferior materials and construction. 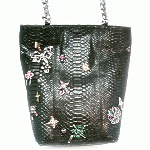 The quality of replica handbags does not begin to approach the fine workmanship of genuine CHANEL. Replica031.com appeared to attempt to elevate the value of their replica Chanel handbags and replica wallets to the potential customer by declaring that the handbags wouldn't have been spotted as a fake. Generally, upon inspection of replica Chanel purses, the poor materials and construction can be immediately obvious and instantly distinguishable from genuine CHANEL. Spending over $200.00 for anything fake, usually an illegal product sold by online replica sellers associated with networks of criminal organizations, is indeed a lot of valuable cash to lose to a purse that can and would be immediately spotted as a fake. The ill-conceived, replicated, and infringing bags were produced, distributed and offered for sale without permission from CHANEL. Replica Chanel purse and wallet prices are far too high for a purse of harsh quality. The high prices for cheap goods that are often paid by customers of websites selling replicas often fuel the further criminal activities of the sellers. 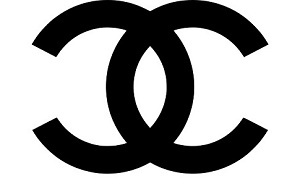 To learn more about the consequences of replica Chanel that affect consumers and society as a whole, visit ChanelReplica.com and ReplicaChanel.com.